Although my heritage consists mostly of Irish and German roots, I fondly remember celebrating Chinese New Year throughout my childhood. 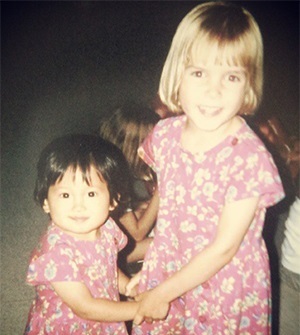 My family adopted my younger sister from China when she was 11 months old, and we all saw the value of celebrating aspects of her heritage as a family. Unlike the Gregorian New Year beginning on January 1, Chinese New Year is based on the Chinese lunar calendar, starting on a different date each year. The holiday festivities begin with the first new moon occurring between late January and early February, and end at the full moon. Everything in between is centered on family and home. I had the privilege of speaking with Lucy G. a senior specialist in Network Services, who is from China and has celebrated Chinese New Year her entire life. She shared with me all of the symbolism involved with the holiday. Each new year is associated with one of the 12 Chinese zodiacs. 2018 will be a Year of the Dog; a year marked by the dog’s defining characteristic, loyalty. Those born in 1934, 1946, 1958, 1970, 1982, 1994, or 2006 were all born in a Year of the Dog. Many believe you can predict your luck in health, love, wealth, and work based on your zodiac and the astrological patterns paired with it. Being the most important holiday in China, there are numerous traditions to celebrate. 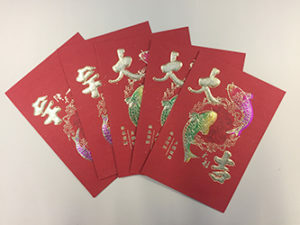 I remember receiving bright red envelopes with gold detailing, or lucky envelopes. In China, they are often filled with money to bring fortune in the coming year, but my parents filled ours with gold chocolate coins. Families in China typically make special cuisine to celebrate the holiday. “The food you eat has a lot of meaning. 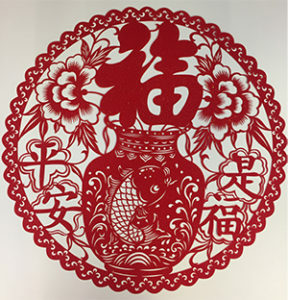 Fish is very popular, as it is said to bring extra money in the new year. Dumplings also bring wealth,” said Lucy. Noodles, on the other hand, symbolize longevity and luck. If you’re making noodles to celebrate, be careful not to cut them, as the longer the noodles, the longer the life you are expected to live. The celebration ends with the Festival of the Lanterns. At these celebrations, you can expect to see plenty of the color red, dragons, and of course, brightly lit lanterns. Chinese New Year begins today, February 16 and is celebrated for 15 days until its conclusion on March 2. We say goodbye to the Year of the Rooster and welcome The Year of the Dog. Wishing you fortune in the new year!